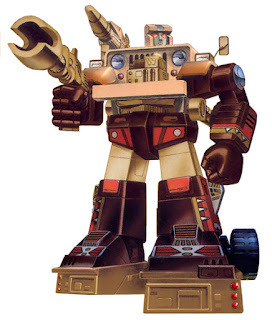 According to the cosmic battle legend, Detritus would appear from nowhere to the big battle field, and an armed camp that could enlist him as a supporter would win the battle without fail. But the truth is, he just takes advantage of his own distinguished abilities to collect information and to analyze it, and just takes the side of the armed camp that he judged it could generate more useful junks in larger quantities. He has an excellent fighting power and he can regenerate himself almost like immortal, mending his damaged body with detritus at hand. Actually, his present body is made out of the parts of detritus getting from the battle field of the Earth. He is a marverick outsider who abandoned his home planet "Junkion", and he is aiming at building his own junk empire some day.